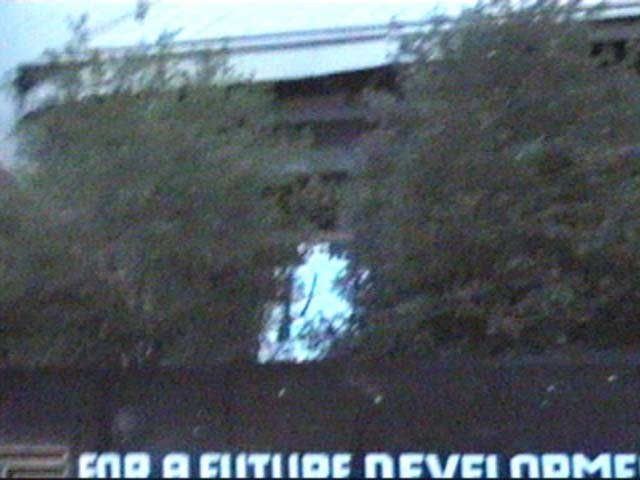 Today I noticed that you can finally see through the building. 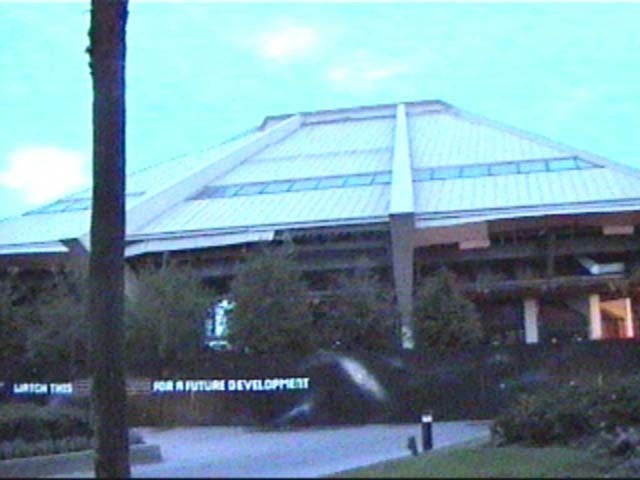 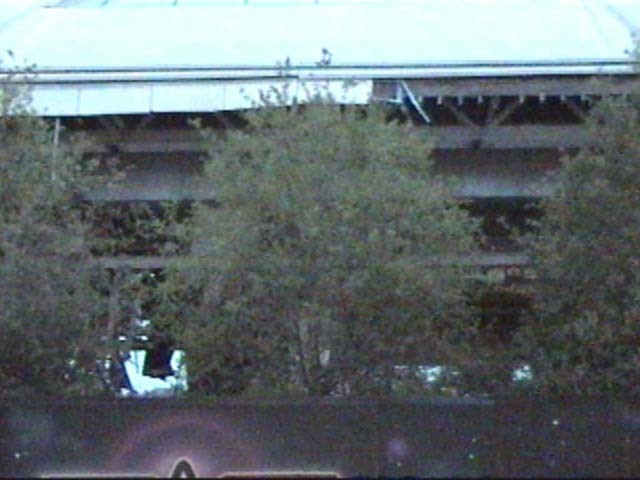 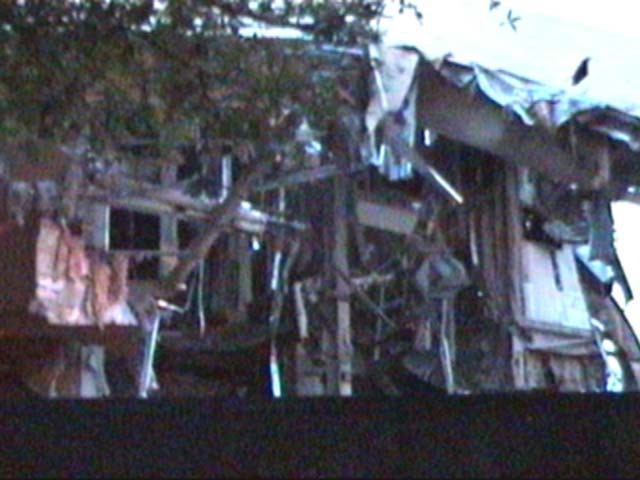 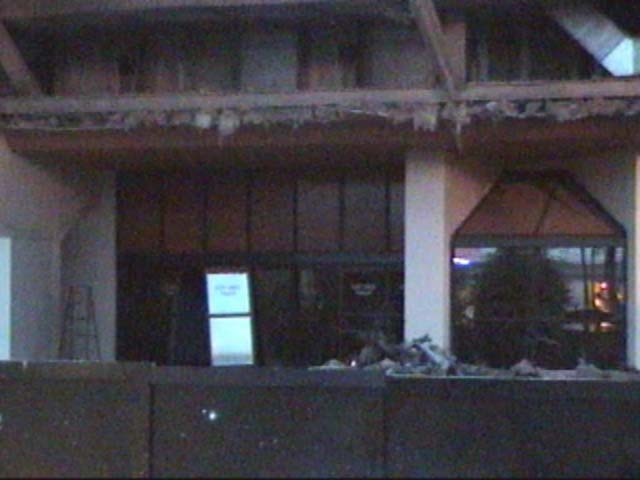 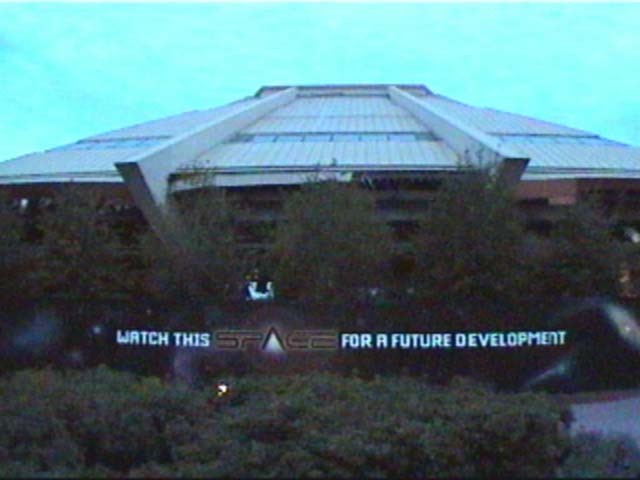 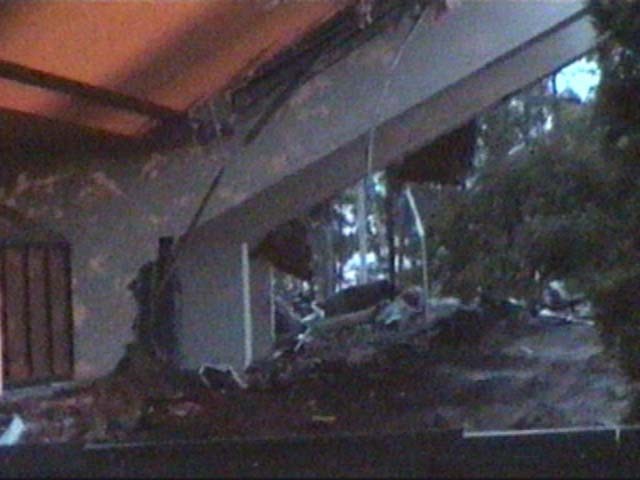 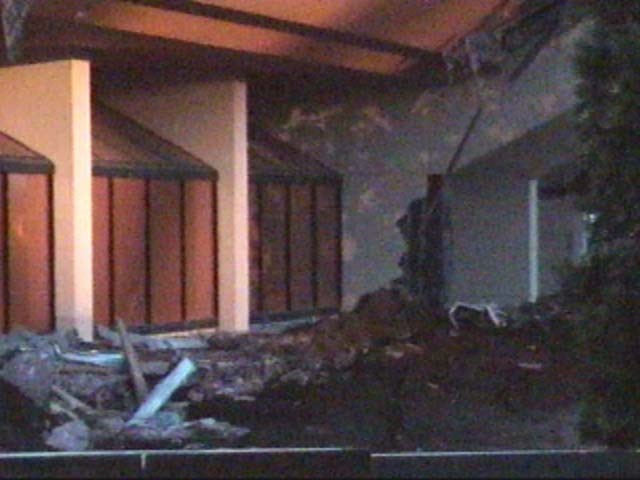 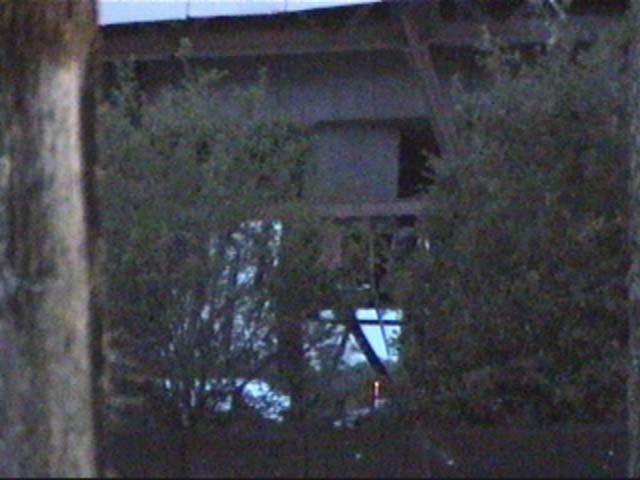 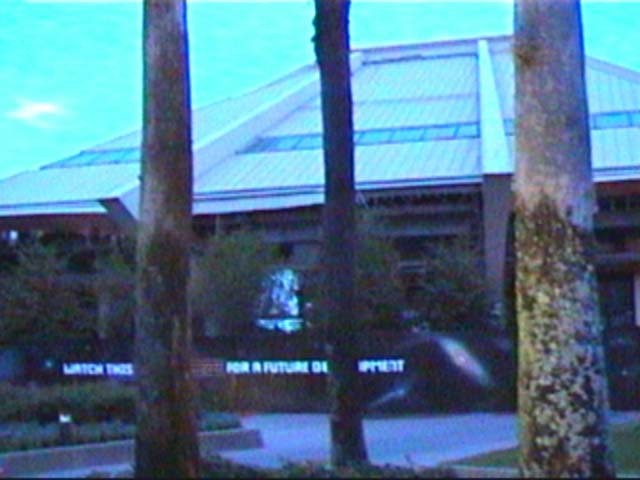 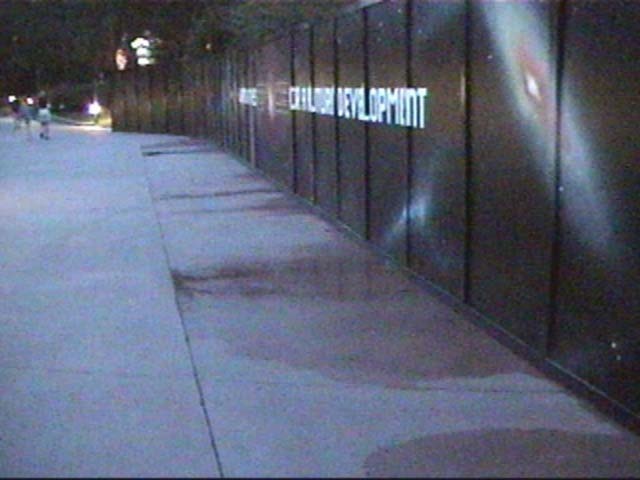 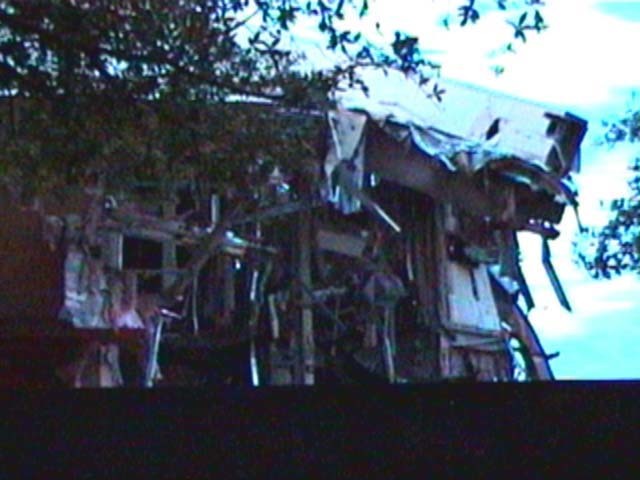 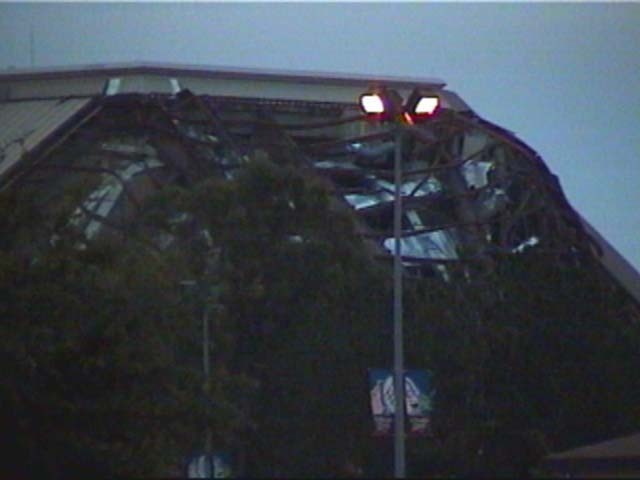 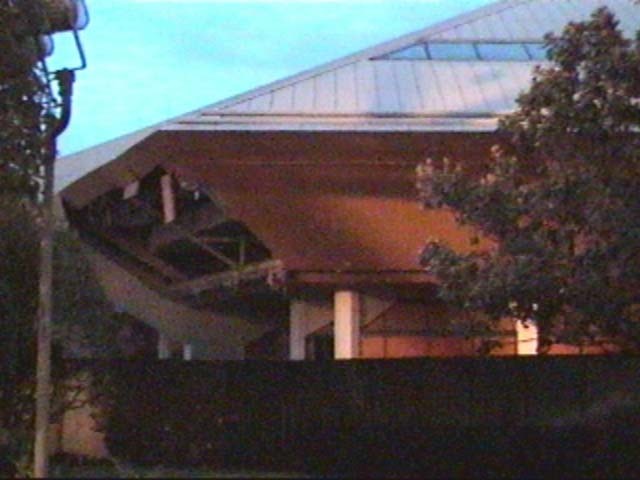 Enough of the inside, and the left front part of the building has been knocked away to make the backstage areas behind Horizons completely visible. 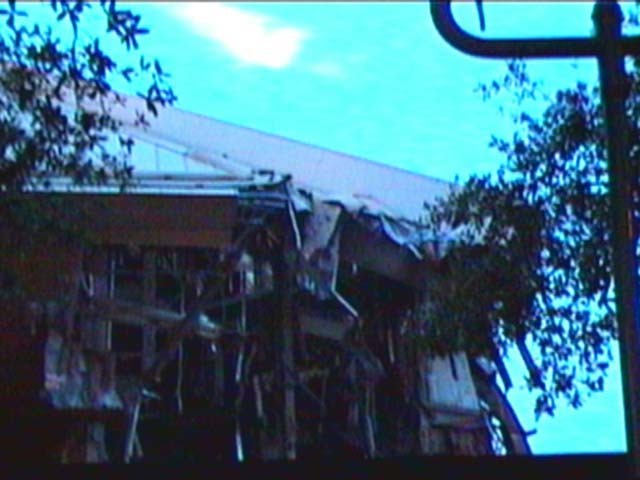 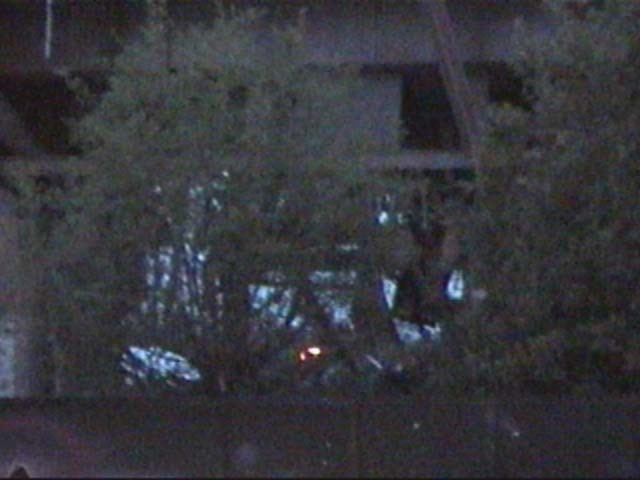 It also appears that the entire back half of the roof has slid off as the back of the building continues to be demolished.